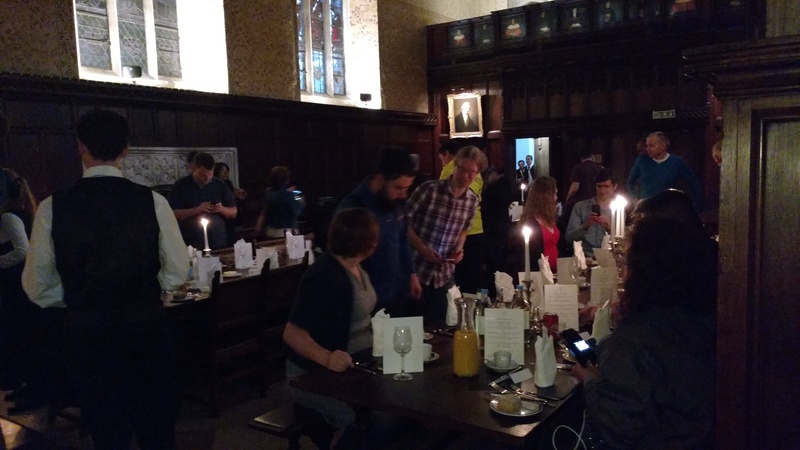 SharePoint Saturday Cambridge 2017 | Where have the days gone? 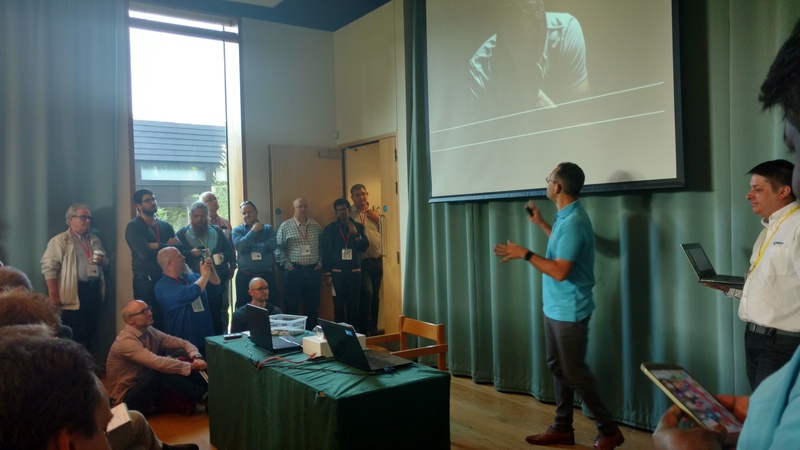 I was honored to be able to present a session on Microsoft Flow at SharePoint Saturday Cambridge this year, on September 9… I’d never been to Cambridge, and I was especially happy to be able to reunite with my Lightning Tools colleagues as well! 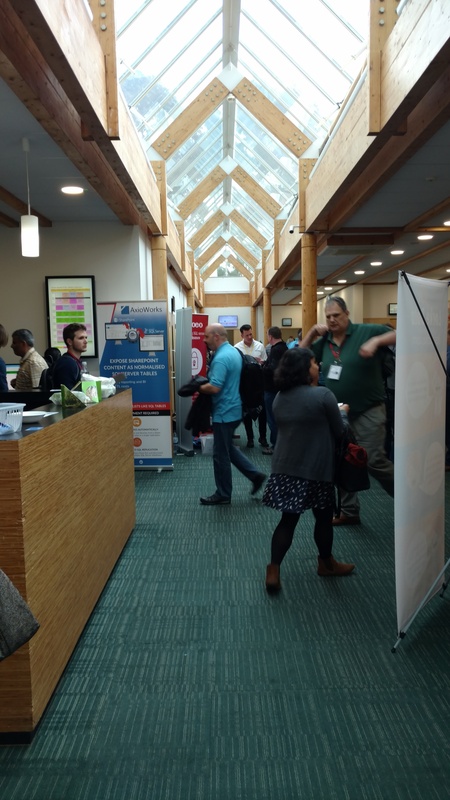 The event is run in conjunction with a SQL Saturday – in fact, I believe it’s kind of the other way around 🙂 The organizers were Paul Hunt on the SharePoint side, and Mark Broadbent on the SQL side, and they did a fantastic job both in upfront organizational work and on the day. 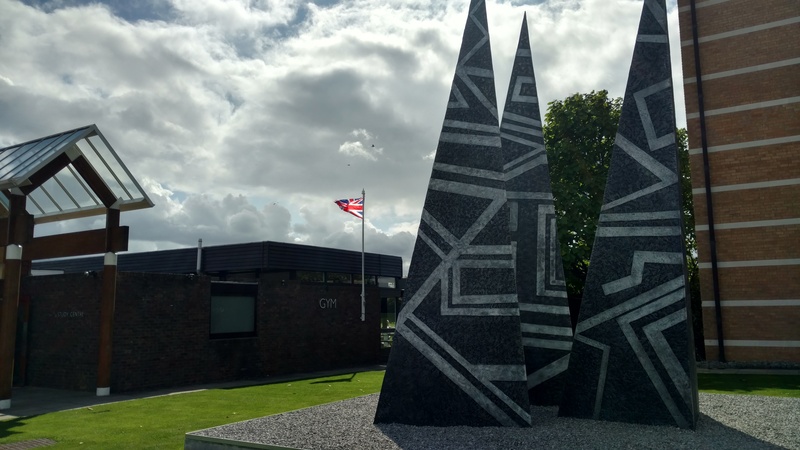 The event was held at the Møller Centre at Churchill College of Cambridge University, which was a pretty convenient location on the outskirts of the city (and thus had its own parking), and was also a lovely modern building with nice classrooms, good tech, and a great staff. My session was in the first time slot at 8:30, which suited me fine – I’ve found that if my session is later in the day, I tend to spend the day in the speaker room fiddling with my demos until they inevitably break 🙂 But if I go early, then I can enjoy the rest of the day going to other sessions, and catching up with new and old SharePoint friends. I had about a dozen people in my session, and I think it went well, with some good questions and no technical difficulties. 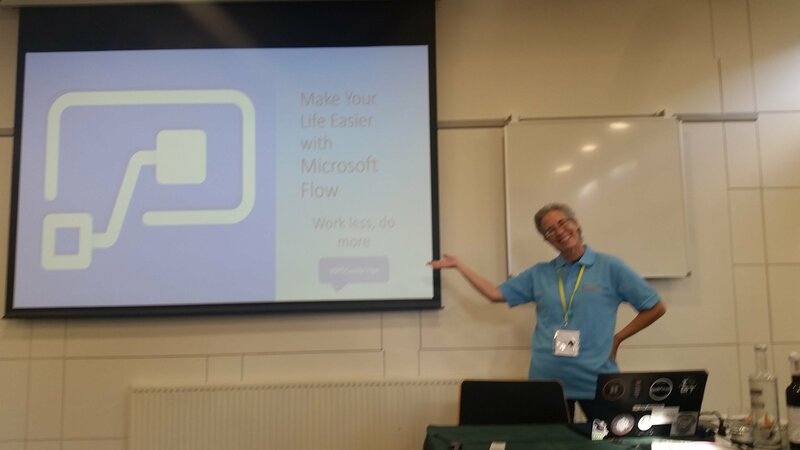 My presentation slides (“Make Your Life Easier with Microsoft Flow”) are available on Slideshare. There were two other Flow sessions during the day, one a more heavily dev topic, and one an extra workshop; I think having my more introductory session early in the day was a good fit for the schedule. After my session came the keynote, where Thomas Vochten showed us the humorous side of the relationship between SharePoint pros and SQL DBAs. 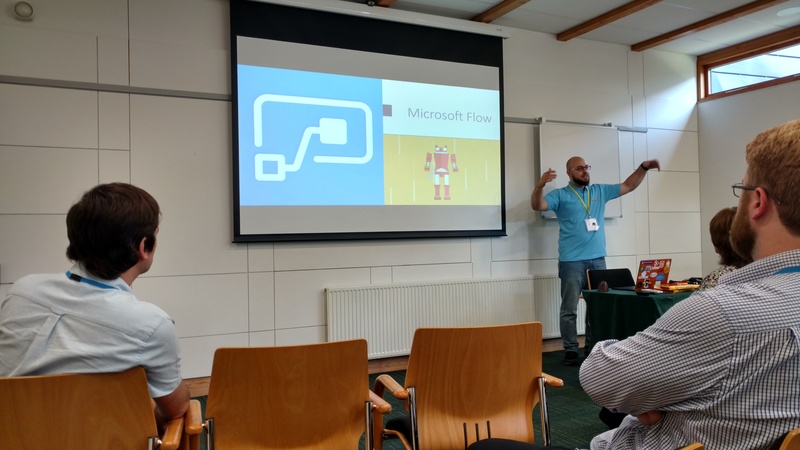 “PowerApps and Microsoft Flow: Advanced Scenarios”, by Ahmad Najjar from Norway. Ahmad demonstrated creating Azure API apps and Azure functions in a Flow. “Create Stunning Visualizations (with the help of R)”, by Markus Ehrenmueller-Jensen from Austria (on the SQL side). This was a fairly esoteric (for me, anyway) session demonstrating specifics of creating various visualizations in code, but I liked learning about some types of visualizations I’d never seen before (such as a box plot), and for what type of data you’d use them most effectively. Then came a nice box lunch, which I ate outside on the patio with some friends, though there were also a number of vendor sessions running during that time, so one could eat in those classrooms. “The Future of No-code and Low-code Solutions” by Adis Jugo from Germany(ish). This was a good discussion of pros, cons, and trends in the no/low-code solution space – read PowerApps and other similar tools. “Training Your Organization on SharePoint” by Marijn Somers from Belgium. 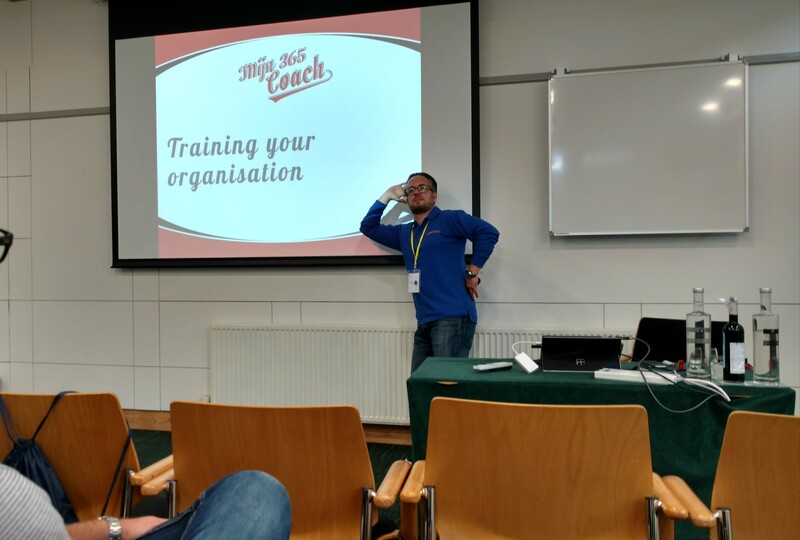 Marijn gave lots of tips from personal experience about training staff (and management) in SharePoint. 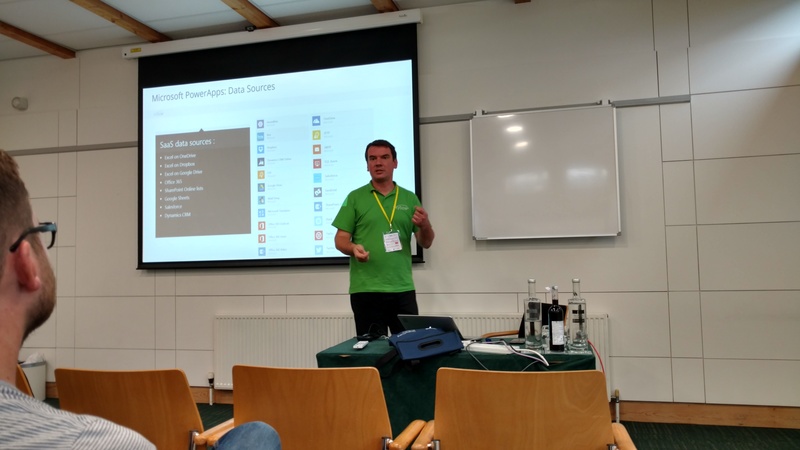 “Power BI and SharePoint in the Real World” by Francisco Palaez from Spain. This session dissected a real-life project he worked on, in which a huge SharePoint list needed to be analyzed, so he demonstrated cleaning and transforming the data for use in PowerBI without bringing down the server (which was a problem the client had had). It got pretty deep into code, but the concepts were interesting. And then of course after dinner, there was a bit of SharePinting, wherein we lost the SQL folks (NoSQL, as someone put it) – hit a couple of pubs on the way walking back to the Møller Centre, hard to believe, I know!